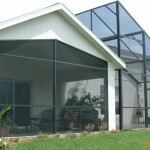 At Eden Construction in Orlando, Florida, quality replacement windows are one of our areas of expertise! Are you unhappy with how much your utility bills rise during the summer when you are running your air conditioner all the time? This may not be an issue with your cooling unit, but may be a problem caused by the windows in your home! At Eden Construction in Orlando, Florida, replacement windows are one of our areas of expertise, and we recommend every homeowner considers replacing the old windows in their home for several reasons. Security: New windows can increase the security of your home. If you have lived in your home for several years, you may have noticed that your windows have inefficient locking systems or can be easily opened from the outside. Replacement windows will ensure that every window in your home has up-to-date locks and other security features that deter intruders. Aesthetics: You will be amazed at how beautiful the exterior of your home will look and how your view of the outside world from inside the house improves with replacement windows. If you are trying to sell your home and increase its curb appeal for interested buyers, new windows will definitely set your home apart from others on your street. Utility Savings: One of the most attractive features of replacing your home’s windows is the fact that new windows can save you lots of money on your utility bills. Newer windows are constructed to block out the cold and the heat and keep your home well-insulated. If you are looking to secure your home, improve curb appeal, and reduce your energy costs, let the experts at Eden Construction install replacement windows in your home!